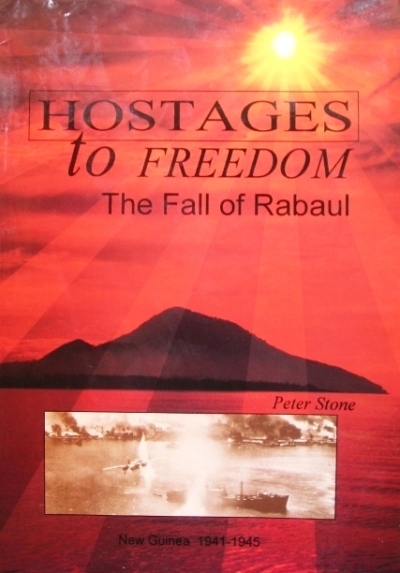 Claimed as the definitive work on the invasion of Rabaul, Papua New Guinea in January 1942, and the subsequent events that led to the bombing of the harbour, Hostages to Freedom - The Fall of Rabaul is one of the most comprehensive books on World War 2. The book documents the invasion and futile attempt to ward off the 20,000 Japanese invasionforce, the escape of only 400 out of an Australian garrison of 1400, and the horrific Tol Massacre. It tells of MacArthur's initial desire to invade, and then to bypass Rabaul, prefering to bomb the Japanese stronghold into isolation and ineffectiveness. As a result, over fifty ships and aircraft went to the bottom of the harbour. Chapters are devoted to identification and diving the shipwrecks in the harbour, and aircraft wrecks in the vicinity and elsewhere in New Britain and New Guinea. A significant section covers the post-war salvage of ships, aircraft and war surplus. The life of the Japanese on the island, and the Australian, British, American, Chinese, and Indian prisoners of war is detailed from first-hand accounts. Only one Australian military POW survived. The Coastwatchers, and guerilla warfare is included. Little wonder that the book takes up nearly six hundred large-format pages. This is truly a remarkable book and has been exceptionally well reviewed. The author has relied on personal narratives and first-hand accounts that took three years to collect, with contributions from Australia, Britain, USA, Canada, New Zealand, Papua New Guinea and Japan. Whereas it is predominantly a war history, it is also one of the most thorough publications documenting the loss of ships and aircraft in World War 2.